God is great, God is good, thank him for this lovely food! 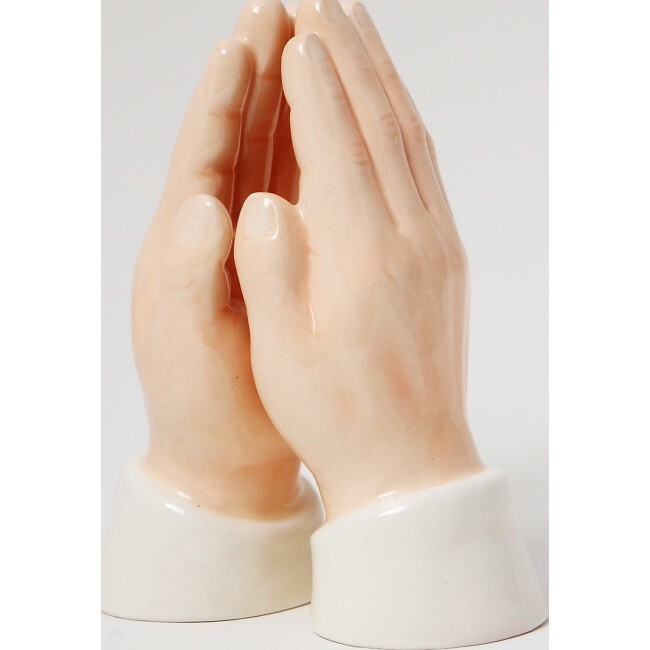 Season your food right with the Praying Hands Say Your Blessings 4" ceramic salt and pepper shakers. Features a magnetic insert to hold the two shakers together.